5	stars -	"Review for F-One S2 Strut Bladder 2014 8.0m Bandit 7" Mark Taylor This F-One S2 Strut Bladder 2014 8.0m Bandit 7 is the best F-One Kite Parts and Accessories I have tried. Replacement S2 bladder for 2014 F-One Bandit 7 8. 0m. ? One pump system. ? Bladders for other F-One sizes and models also available ex factory, please contact us for info and pricing. Newer model Bandits do not use S3 bladders. Replacement S2 bladder for 2014 F-One Bandit 7 8.0m.? One pump system.? 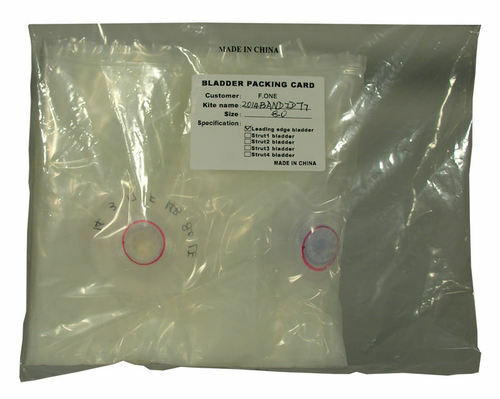 Bladders for other F-One sizes and models also available ex factory, please contact us for info and pricing. Newer model Bandits do not use S3 bladders.